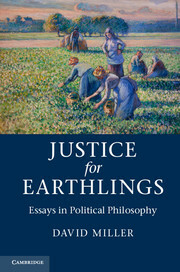 David Miller is the author of Justice for Earthlings (2013). Miller is Professor of Political Theory and an Official Fellow at Nuffield College, University of Oxford. He is also a Fellow of the British Academy.